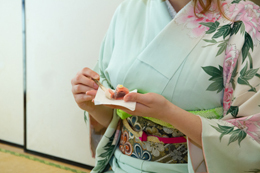 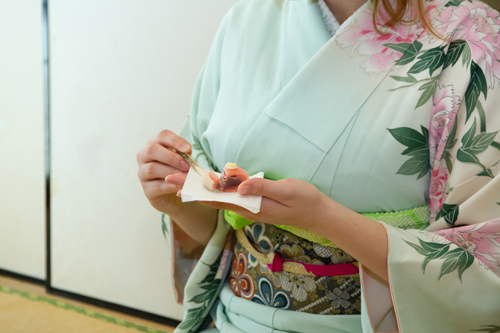 Kimono-Class and Japanese tea ceremony for international students were held on February 22, 2014. 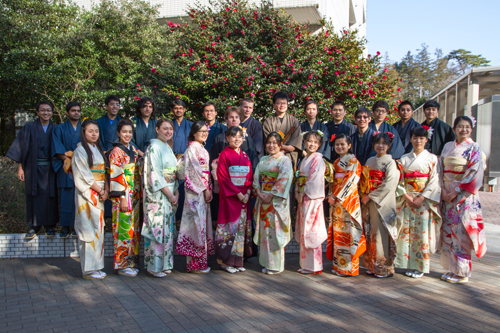 11 girls and 15 boys attended the events and made a kimono debut. 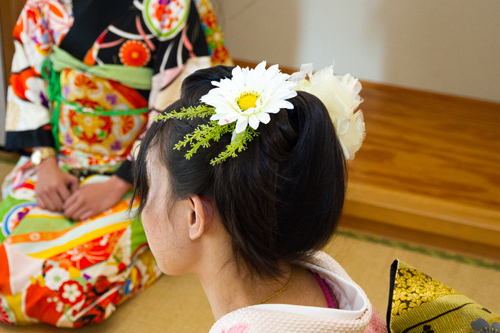 There were happy twinkle in their eyes for beautifully coiffed hair and cute kimono style. They yelped with delight and took pictures of each other's kimono. 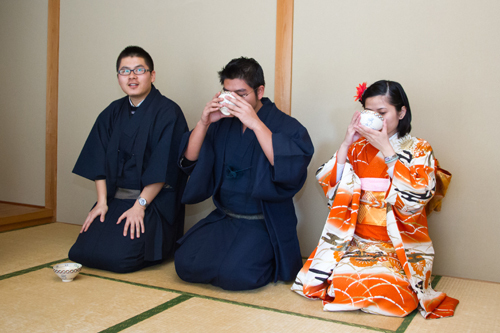 They also learned Japanese tea ceremony's manner at Tatami room and enjoyed Wagashi(Japanese cakes) and Matcha tea. 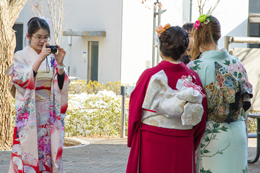 Then, all took a commemorative photo at the communication park.